Date: Wednesday, 29 July 2009, at 4:43 p.m.
15/09/2009 a 17/09 das 9 às 18:00. Para se cadastrar acessar o link abaixo. Studio and IBM solidDB Universal Cache will be covered. add value to your solutions and extend your market opportunities. work with IDS for their customers are also welcome to attend. 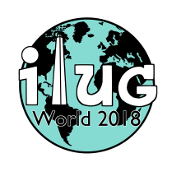 IIUG Português is maintained by Administrator with WebBBS 5.12.